Technology: Bonding Services are any of a number of materials joining services that typically use adhesives, etc. to join various metals, plastics, ceramics and so on to themselves or to other materials. Bonding of friction materials to metal shoes, clutch plates, etc. is a common application of bonding. Bonding services offer an alternative to other joining services such as riveting and other traditional fastening methods. 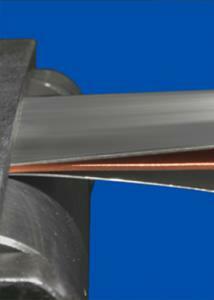 Adhesives offer very good bond strength that is on par with other traditional joining methods. Useful for thin materials where heat/melt based techniques can cause perforations, etc.